In today’s business environment, organizations rely on the Internet for access to information and resources. While instant access to information over the Internet is critical, it introduces incredible risk to networks and data. Every day, new external threats such as viruses, worms, Trojans, phishing attacks and spyware programs cause serious financial damage to companies through compromised computing systems, lost productivity and the theft of passwords and other confidential information. Internal threats arise through employee use of Web sites that contain objectionable or even illegal content can leave organizations vulnerable to legal liabilities and unwanted security risks. Additionally, the use of instant messaging (IM) and peer-to-peer (P2P) applications compete for employees’ time and can result in tremendous losses in productivity. 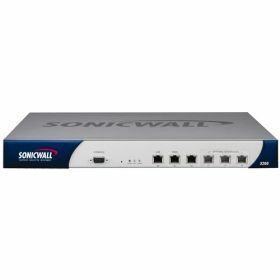 The SonicWALL® Content Security Manager (CSM) Series is an appliance-based gateway security and content filtering solution that integrates real-time gateway anti-virus, antispyware, intrusion prevention and content filtering services to deliver maximum network protection from external and internal Internet threats. 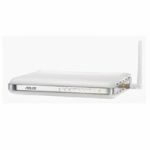 The CSM 2200 is perfect for smaller organizations with up to 250 nodes and the CSM 3200 is perfect for mid-sized organization with up to 1,000 nodes. 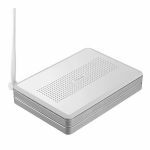 Combining dynamic threat management capabilities with precise control over Internet usage in an affordable, appliance-based solution, the CSM Series boosts network security and employee productivity, optimizes network utilization and mitigates legal liabilities. This unique solution integrates seamlessly behind virtually any networking firewall, enabling organizations of all sizes to upgrade their security without necessarily upgrading their existing firewall. - Comprehensive content filtering provides granular, policy-based controls to manage internal access to inappropriate, unproductive and potentially illegal Web content. 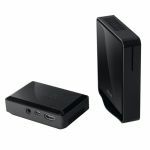 - Real-time gateway anti-virus , anti-spyware and intrusion prevention that scans over a multitude of widely-used protocols and ports and delivers complete protection by eliminating viruses, worms, Trojans, spyware and other external Internet threats at the gateway before they can infect the network. - Instant messaging (IM), peer-to-peer (P2P) and multimedia controls improve network performance, block security threats and protect against legal liabilities. Granular policy control via single sign-on streamlines user authentication and the management of access to network resources and online content. - Automated anti-virus and anti-spyware client enforcement verifi es that every computer accessing the network has the most recent version of anti-virus and anti-spyware software installed and active, eliminating the costs commonly associated with desktop anti-virus and anti-spyware policy management. - Powerful Web-based reporting provides greater insight into network usage through custom reports that can be viewed in multiple formats. - High availability ensures the network is always protected and productivity remains uninterrupted by automatically failing over to a secondary backup unit should the primary unit fail. Seamless integration behind virtually any firewall enables organizations to leverage the existing network infrastructure without the need to purchase additional hardware.